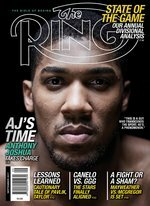 Editor’s Note: This feature originally appeared in the October 2012 issue of THE RING Magazine. It is being represented following the announcement that Shane Mosley has retired from the sport. 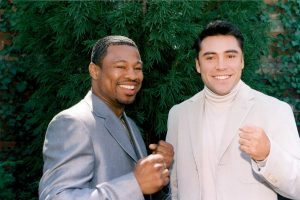 Sugar Shane Mosley’s legacy will be one of a man who took on all challenges and was rarely involved in a boring fight. 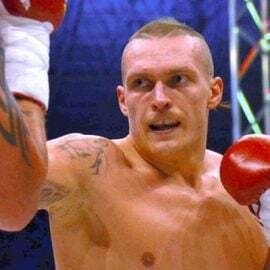 The five-time titleholder in three divisions, known for his warrior mentality and natural gifts, engaged a long list of fighters who were among the best of their time. Among them: Oscar De La Hoya, Vernon Forrest, Manny Pacquiao, Floyd Mayweather Jr. and Miguel Cotto – all future Hall of Famers. Mosley was a dominating lightweight, building a record of 32-0 (with 30 knockouts) before moving up to welterweight. 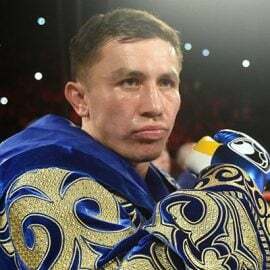 And he had great success against his Mexican rivals, winning 21 consecutive fights against them before losing to Saul “Canelo” Alvarez in May. 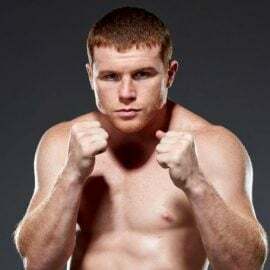 Among Mosley’s career highlights are two victories over De La Hoya, although the second was tarnished when he later acknowleged using performance-enhancing drugs before the fight, two knockouts of Fernando Vargas and KOs of Ricardo Mayorga and Antonio Margarito. 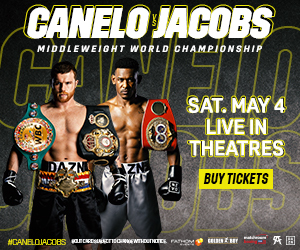 Mosley also defeated world titleholders Jesse James Leija, John John Molina, Phillip Holiday and Luis Collazo, knocking out out Leija and Molina. Among his losses: Forrest (twice), Winky Wright (twice), Cotto, Mayweather and Pacquiao. Mosley (46-8-1, 39 KOs) retired in June at the age of 40. 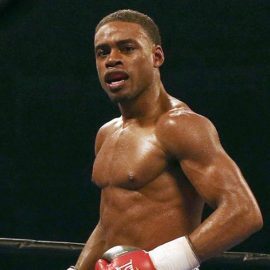 He has moved into training and promoting his son Shane Mosley Jr., a 21-year-old amateur who hopes to fight in the 2016 Olympics. 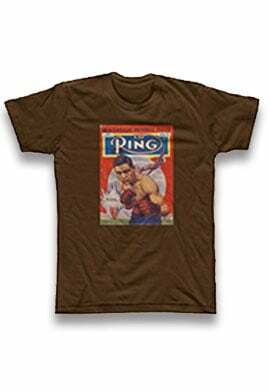 Mosley shared with THE RING the best fighters he faced in 10 key categories. Vernon Forrest and Oscar De La Hoya: Oscar had a terrific jab, but when I fought Vernon, Vernon had a tremendous jab as well. It was hard for me to get past Vernon’s jab, but at the same time, Oscar had a really fast, snapping jab along with a good left hook. So I had problems with both guys. Vernon had the height to go with it as well. 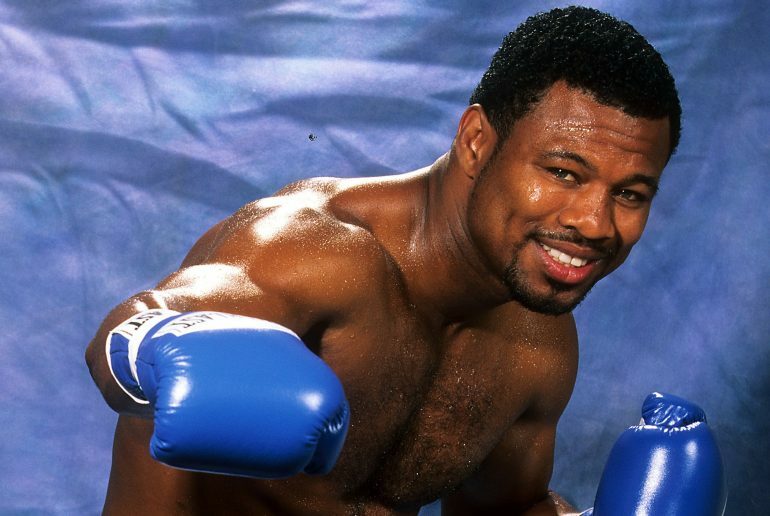 Winky Wright: Winky had, I think, the best defense back then. Floyd had good defense, but Winky caught me earlier in my career. I think that Winky was really good at catching and countering. He kept his hands up really high and I think that back then, he would have had the best defense. He was very, very good at catching and then touching you. Floyd Mayweather Jr.: I would again have to say that’s Floyd. Floyd’s timing and his speed were very, very quick. He was able to get off the gun really quick. I felt like I was competing with him, but I would have to say that Floyd had the fastest hands of anyone that I’ve fought. Sergio Mora: That would have to be Sergio Mora. I was surprised at how well he moved. He got around the ring very well. Very fast feet. Moved good. 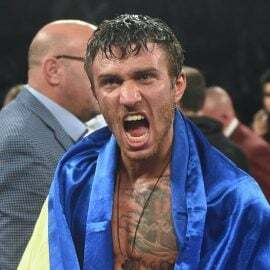 He was a junior middleweight who was fighting me at that time, but I was still surprised at his footspeed. Antonio Margarito: I would have to say that Margarito had the best chin. Even though I knocked him out, it took a long time of me hitting him on the button. Round after round, he stood up against some solid shots. Even when I hit Floyd with one solid shot, he wobbled when I got the opportunity. Floyd had a good chin, but I would have to say that the guy with the best chin was Margarito. He stood up to Pacquiao’s punches as well as mine until I was able to break him down. Mayweather: He knows how to change up the fight and the tempo in the middle of the fight. He can go from one thing and one strategy to another very well. If you get one thing working, he can change up and make you have to do something else. He was probably the smartest. Fernando Vargas: The strongest guy that I fought, physically, was Fernando Vargas. He hit pretty hard but he was also very strong, physically. Winky Wright was strong, but Vargas was very, very physical in both fights. 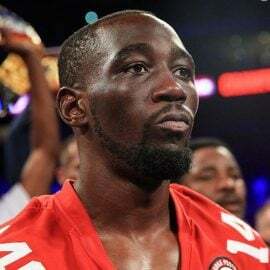 Forrest and Manny Pacquiao: I think that the best puncher would have to be Vernon Forrest because back then I had a pretty good chin and I had never been dropped, and he was the first guy to drop me. His power is a little different than Pacquiao had. But those are the two guys who knocked me down, so those are the two guys that I would have to give it to. I’m leaning more toward Vernon, because he had the heavier punches, whereas Pacquiao’s was more of a flash knockdown where I was dizzy.I don’t know if it was the injury that I had or the punching power that Pacquiao possesses. But I was never buzzed by anybody else like I was by those two guys. Mayweather: That would probably have to be Floyd. It’s how he evades punches with a blend of his defense and his offense. He’s always on his toes and he’s always slipping and sliding. Mayweather: That would have to be Floyd. He had everything. He had about three different categories where he was the best at. Floyd was the best overall fighter. The most speed, best defense and a good jab and good offense. I think that it’s also what he does with his movement and his angles. To be fair, he caught me later in my career. But he puts everything together, offensively and defensively, and he has the movement.